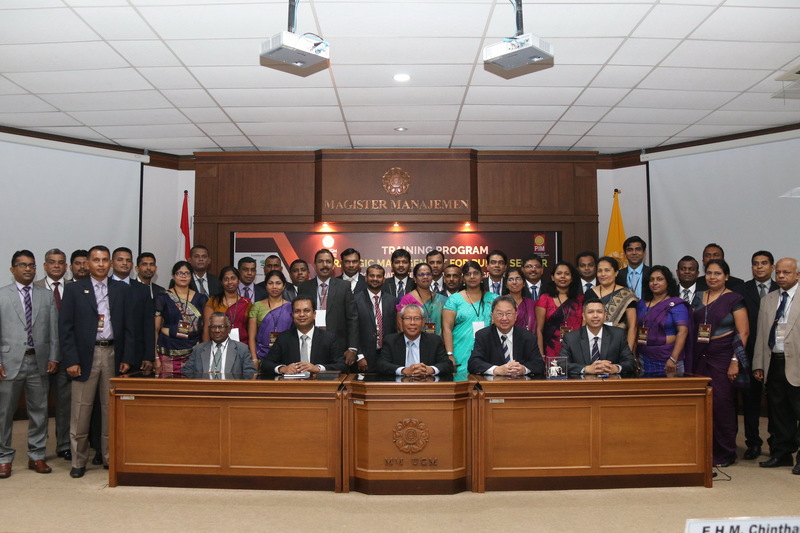 On April 23, 2018, Master in Management Faculty of Economics and Business Universitas Gadjah Mada (MM FEB UGM) held an opening ceremony of training program for Postgraduate Institute of Management (PIM), University of Sri Jayewardenepura, Sri Lanka. 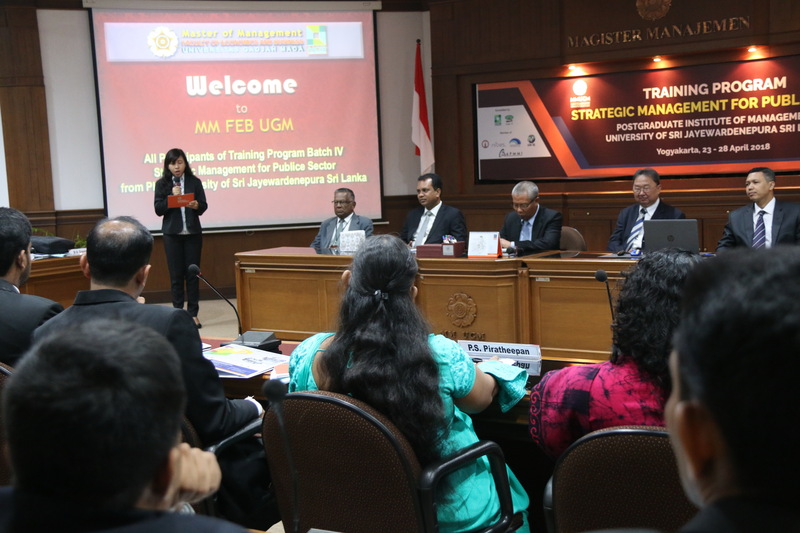 The ceremony was designed to welcome the training participants who would stay for the 5-day training in MM FEB UGM. It was attended by 36 participants and opened by a speech from the Dean of Faculty of Economics and Business Universitas Gadjah Mada, Dr. Eko Suwardi, M.Sc. who was accompanied by Dr. T. Hani Handoko, M.B.A. and Bayu Sutikno, Cand.Merc., Ph.D. as the Board of Directors of MM FEB UGM Yogyakarta. 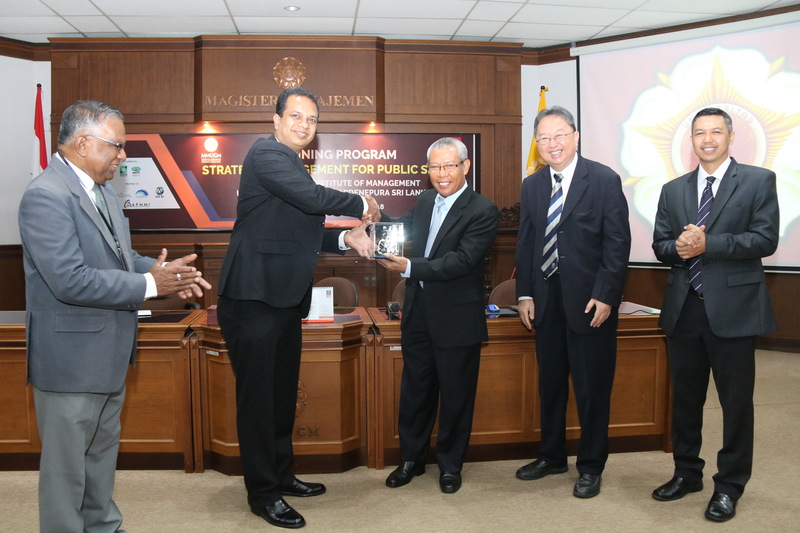 Eko Suwardi welcomed his guests and thanked them for visiting the campus as an implementation of the educational collaboration between MM FEB UGM and PIM Sri Lanka. Dilhan Virendra Goonetilleke as the training coordinator of PIM Sri Lanka extended his gratitude to the Dean, the Board of Directors, and staffs of MM FEB UGM for managing the training. He mentioned that PIM Sri Lanka chose UGM to collaborate since UGM had been acknowledged as the best university in Indonesia. 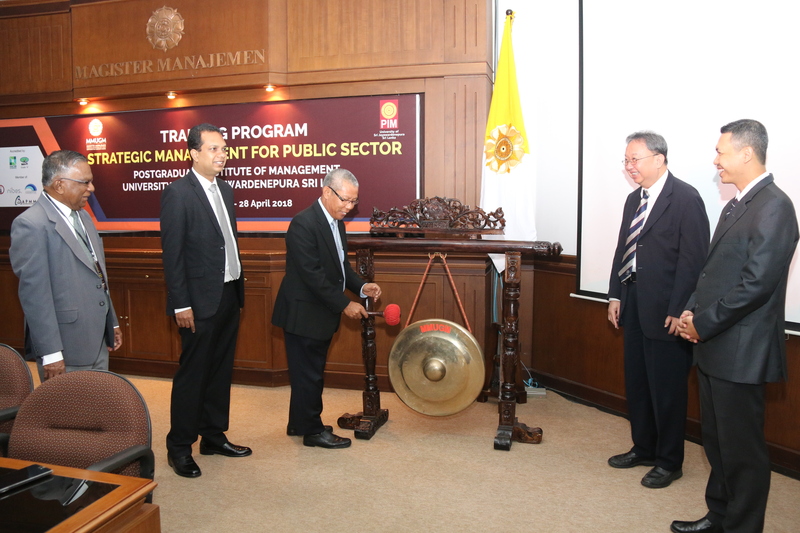 Before ending the opening ceremony, the Dean of FEB UGM did a gong sounding for 5 times to officially mark the opening of the training which was continued with souvenir handover and group photo sessions.